ultimate safeguard for your engine. 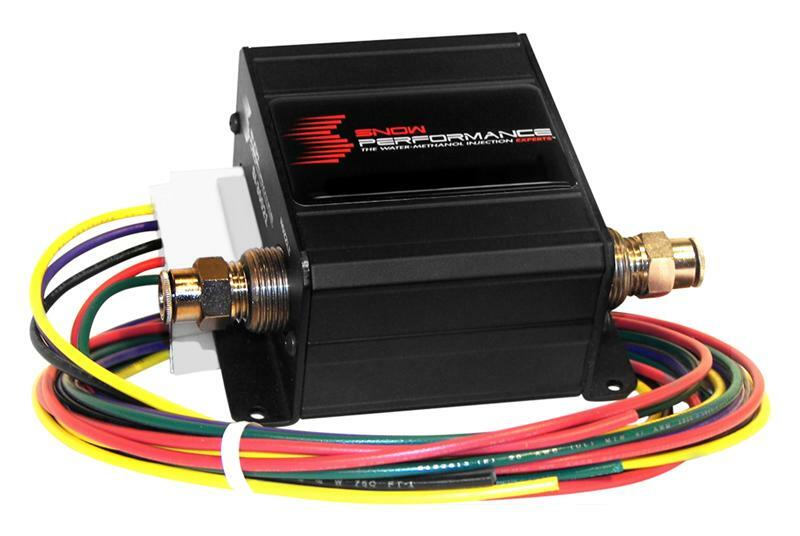 Snow Performance SafeInjection is a watchdog that always monitors the system output flow. Designed as an add on to the Boost Cooler water/methanol injection system, Snow Performance SafeInjection provides for a safe tune in those instances where no injection is present and an aggressive tune is utilized. This system reduces boost and/or timing anytime injection quantity goes below the set point regardless of the reason (ran out of fluid, clogged line, etc.). This sets your vehicle into a “safe mode” making your tune instantly conservative for the ultimate in safe water/methanol injection. Be sure to check out our boost control options: Wastegate Solenoid, Boost Controller Bypass Relay, Bypass Valve Solenoid, and Ford Eaton Bypass Solenoid.